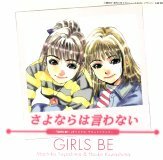 This is the debut CD for the seiyuu group Girls Be (Toyoshima Machiko and Kuwashima Houko). The CD package is unique in that there isn't a normal lyrics booklet. There are eight CD case sized pictures (seven of them pictures of the seiyuu), with the lyrics and other information printed on the back. The first pressing comes with a little sticker of the two seiyuu. 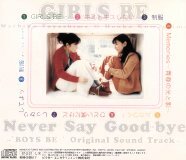 Kimi to Kiss Shitai is sung by Toyoshima Machiko, and Hidoi Boku dakedo is sung by Kuwashima Houko. All other songs are sung by both. 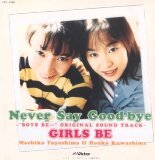 The track Memories -Seishun no Hikari to Kage- is a series of monologues by Machiko and Houko. The song Seifuku is a cover of an old Matsuda Seiko song.